Main menu screen. Currently the software supports mini 4x4, midi 6x6, standard 9x9, letter 9x9 and super 16x16. But I have over 18 different su doku variants that could be added! 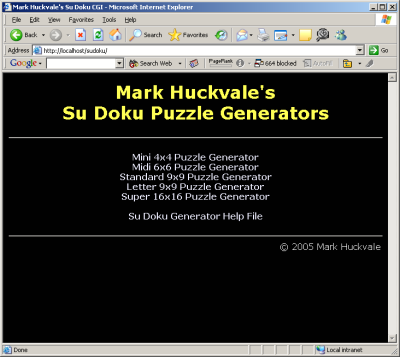 Puzzle selection screen for standard 9x9 su doku puzzles. Here you choose the level of difficulty and the symmetry. Difficulty levels range from Elementary to Diabolical. 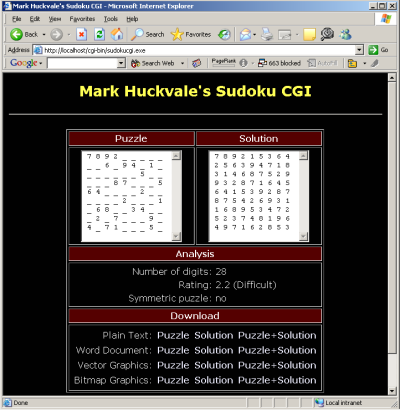 You can also input a puzzle to analyze. You need a password to get in! 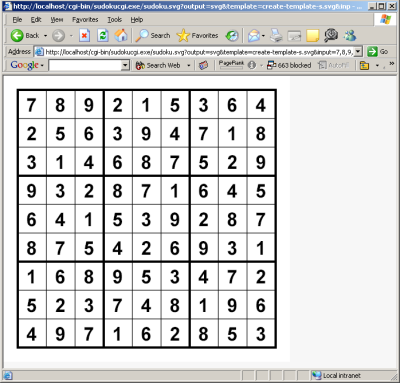 Once the puzzle has been created, you can choose to download the puzzle and/or solution in different formats. 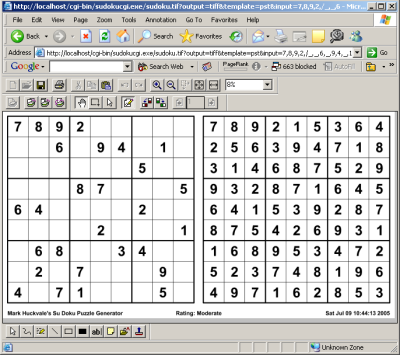 You can even use the program to format existing puzzles. 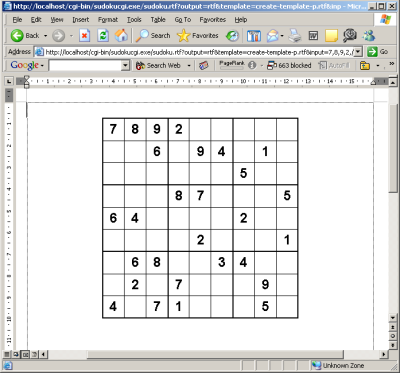 This is an example of the plain text output of puzzle and solution. The detailed formatting is controlled by a template that may be customised. 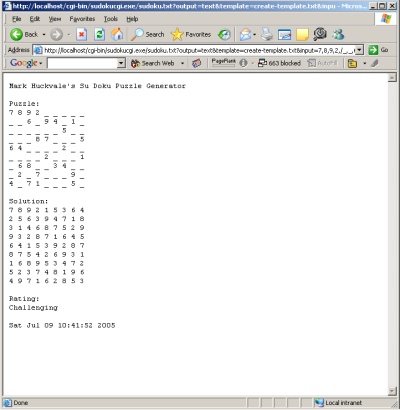 This is an example of the rich text format (RTF) output of the puzzle alone. The detailed formatting is controlled by a template that may be customised. 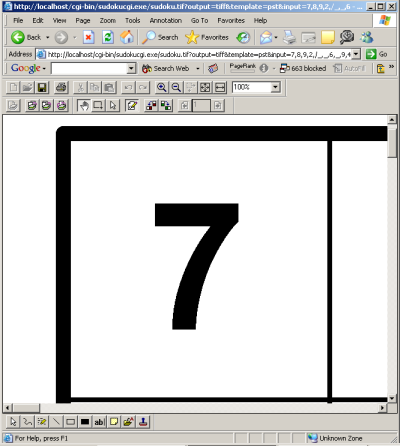 This is an example of the scalable vector graphics (SVG) output of the solution alone. The detailed formatting is controlled by a template that may be customised. This is an example of the bitmap graphics (TIFF) output of the puzzle and solution. This shows that the bitmap output is very high resolution suitable for printing. This software is available for use on my servers on a price per puzzle basis, or can be purchased outright to run on your corporate network server.